Whether seeking, surveying or selling property is the goal, Roxana Rafatjah Kessler applies her understanding of consumer behavior, partnerships, negotiation and marketing strategies to connect buyers and sellers for successful transactions. Roxana is also the founder and president of ROXIontheROX, LLC, a marketing, events and branding consultancy. Residential, commercial and investment properties are each treated uniquely with a customized approach by Roxana and her abilities to effectively attract the right buyers and best offers. 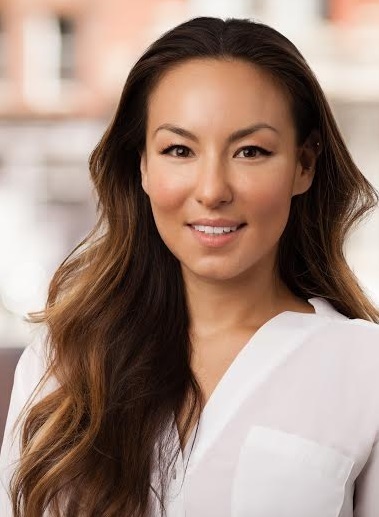 As a Licensed Real Estate Salesperson with CORE, Roxana is dedicated to sharing her passion for New York City, where she has lived for 10+ years, building strong networks in various industries including real estate investments. Roxana has a bachelor’s degree in Communications from Boston University, with a minor in Economics, and has also completed Digital Marketing coursework at NYU and a summer program at FIT. A humanitarian at heart, Roxana is on the leadership council for the Resolution Project, is an animal lover and avid gym-addict. I’m a problem-solver. Whether that means finding a client an investment property, selling a home, striking up a mutually beneficial brand partnership, or producing a flawless event, I like to fill gaps and connect opportunities. It comes naturally to me, so I always enjoy it. I’m genuine. And I don’t necessarily mean that others may not be genuine. But I can be proud of everything I say and do when I’m connecting people and creating opportunities because I strive to always be authentic to my own intentions and the intentions of my clients. Business: Building businesses so successful and widespread that they impact the world in some great way. My biggest success always lies ahead of me! Making the decision to work for myself. But this has also been the most rewarding experience. If I had to pick one -- my 7-pound shorkie, Bibi. In NYC, anything in the West Village. I love trying out new places. On the west coast, I love Santa Barbara for relaxing and the most delicious Mexican food in the country. Internationally, I have fallen in love with Rome, Paris, and the most peaceful place on earth, the Chapung Sebali in Ubud, Bali. Vinylux nail polish – it lasts chip-free for 2 full weeks! And you can take it off with regular nail polish remover, unlike gel. You’re welcome ladies. Coconut oil – for cooking, and for moisturizing - Double whammy! My TimePassages app – for astrological charts… Gotta time those successful deals! I’ve always been passionate about real estate. Before I ever had a real estate license, I would help friends find their apartments just for fun. Now, this passion has just grown and expanded. And baby animals. I’m pretty obsessed with baby animals.